Looking for something different to do with the kids? 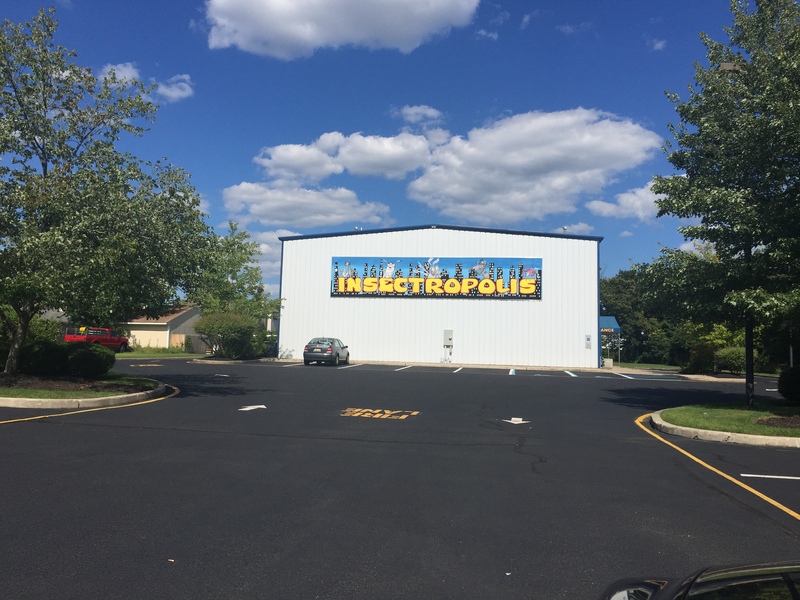 Well located in Toms River New Jersey is a really neat little place, although some people may find it a bit creepy crawly. 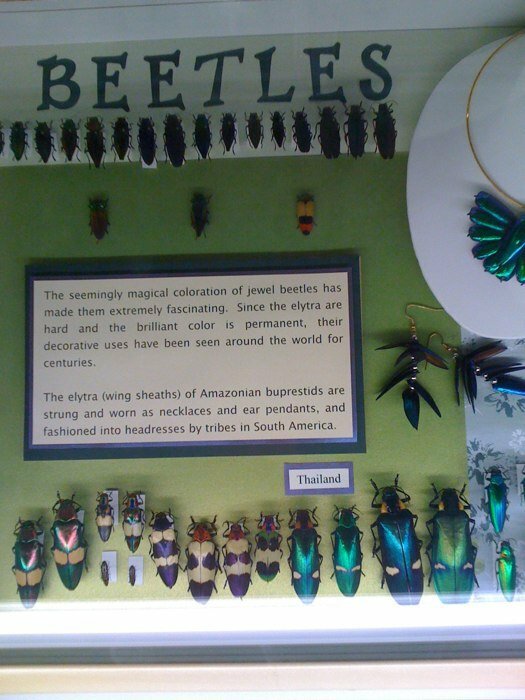 Insectropolis is completely filled with bugs, but in a good way I guess. The outside doesn’t do this place justice, but as soon as you walk in you are transported into a bug-themed city. 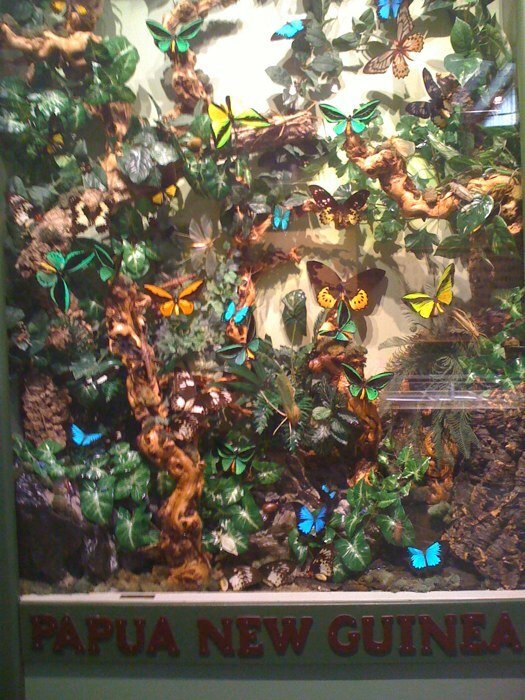 There are thousands of bugs on display both alive and not but beautifully displayed with a lot of detailed information. They do also offer a learning session that also includes the change to touch some unique bugs like large millipedes, beetles and of course a tarantula. I will be honest I’m not much of a bug person especially spiders so I kept my distance but there were many people much braver (and younger) than I that couldn’t get enough of the bugs. 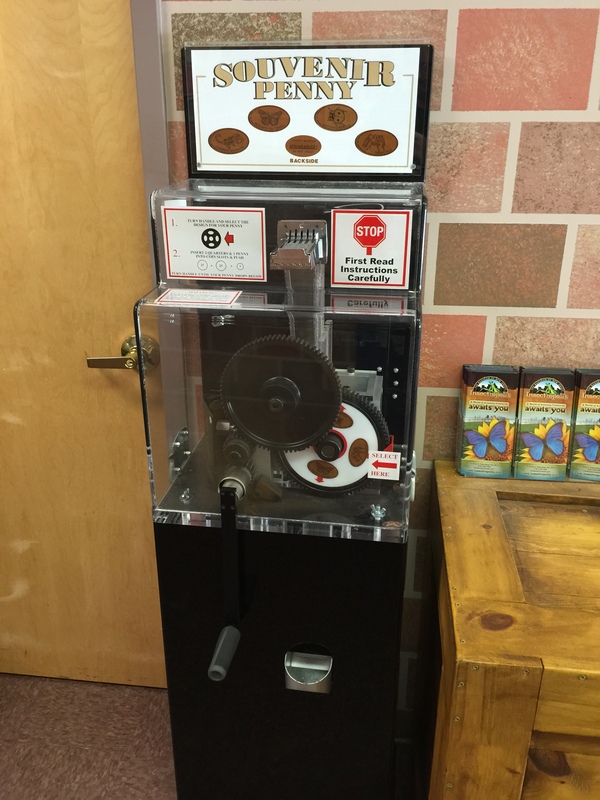 After you have had your fill of bugs there is a penny machine located right inside the main door. No admission is required to use the machine so if you are squeamish and not up to seeing the bugs you I guarantee you the machine is in a bug free zone. 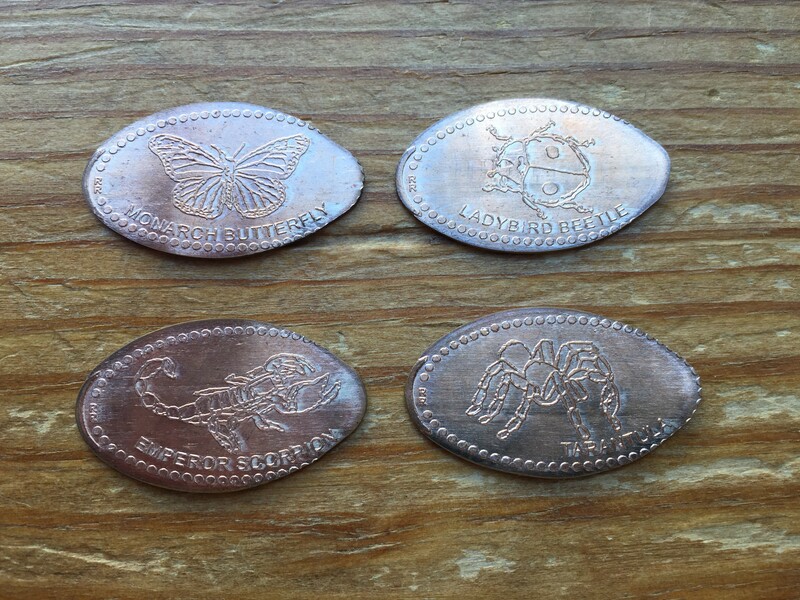 The machine pressed 4 designs. They did press a little short but the designs still appeared mostly complete. The designs were: Monarch Butterfly, Ladybird Beetle, Emperor Scorpion, and a Tarantula. These pennies are also knows an mules as they also had a back stamp on each coin. 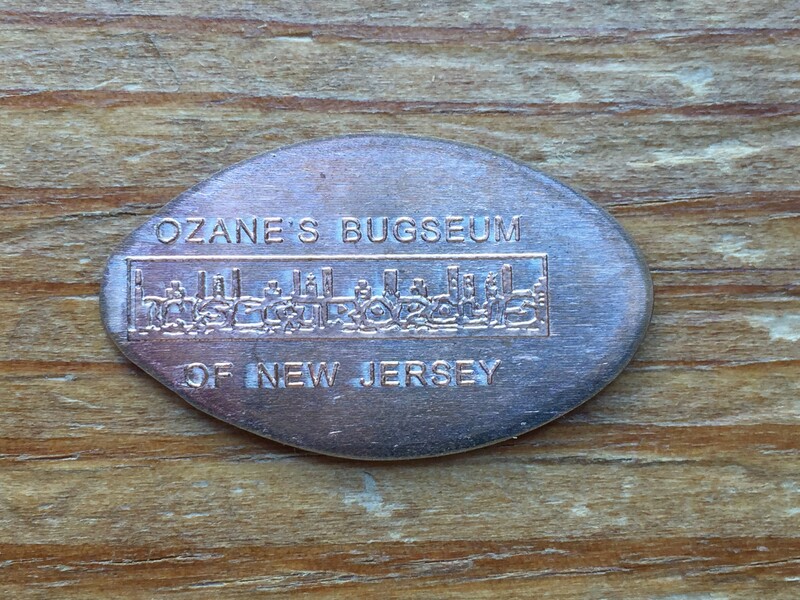 The back stamp listed “Ozane’s bugseum of New Jersey”. I’m not sure if this was the original name of the place or not but either way still pretty cool. Whether you’re an entomology fan, or just trying to face your fears (One of these days I’ll touch the Spider…nah who am I kidding) I’m almost positive your kids will love it. They also offer birthday parties and an overnight sleepover for the truly brave. Or just run in and press the pennies, I won’t think any less of you as I would probably do the same more often than not.